One of the best strategies for Extreme Couponing success is maintaining a master list. Creating and using a master list can help turn ordinary grocery savings into extreme grocery savings. It is a valuable tool to have. If you aren’t using a master list consider getting one started. I’ll tell you all about it and give you the information that you need to make such a list and maintain it yourself. Why Make a Master List? A master list of grocery products will help you keep track of store prices, cyclical sales (when things cost the least), how often their are coupons available for these products and the likely sources of specific coupons. By having this list, you can quickly look through it each week for extreme couponing opportunities. One big benefit is that it will help you quickly see what products to target and which coupons that you will need. 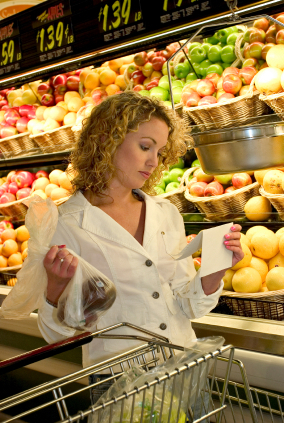 This way, you can make sure you find or buy the right coupons in the right quantities. I strongly suggest putting your list into an electronic spreadsheet. Having your master list in electronic form will allow you to sort and update it quickly. You can add additional information as needed. If you have a smart phone, you can email the list or sync the list from your computer. By doing this, you’ll always have the list with you! Start by listing the items that you use regularly in your home. For most families, this will wind up being about 100 products. You can group them by type of product, such as cereal, frozen food or cleaners, or you can group them by brand. There are benefits to both ways, and you’ll figure out which way works best for you. To start out with, next to each item, you will want to list the following information: the regular price of the item, the lowest price of the item, what coupons are available for the item (you may have different ones to list for many of the products), how much of the item should be stocked (example 12 boxes of pasta) and notes. The notes section may contain miscellaneous information about the product such as the best store to buy the product, the best source of coupons, etc. The list can be as simple or as complicated as you wish. Some extreme couponers even add the bar codes of some products or coupons so they can scan them to see if there is a better deal or coupon elsewhere. You might find out some interesting information once you start taking a good look at your list. For example, you might see that there are certain products that never seem to have coupons. Maybe you could consider using a different brand or even a different type of product in order to get your extreme savings. While creating a master list at first will take some time, it can ultimately save you both time and money, fine tuning your clipping coupons into the art of extreme couponing. I would like to become a master couponer. please help. A great place to start is our Coupon Resource section found here: http://www.freecoupons.com/coupon-resources/. We have plenty of blogs on how to get started with couponing.